This article outlines a few key features of the TRICARE Prime plan, such as who is eligible for that and how that health care plan works. 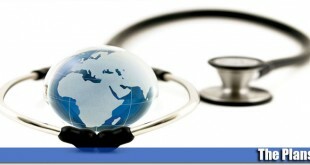 TRICARE Prime health care plans are available in certain areas across the world. In order to determine whether you are eligible for receiving TRICARE Prime coverage, you can use your ZIP code to see if the area you reside in is a Prime Service Area. In order to access the benefits that are offered by this plan, you are required to enroll for the program. 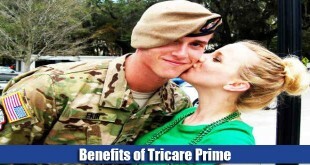 The benefits that are provided under the TRICARE Prime health care plan are those that meet the minimum coverage requirement, in accordance with the Affordable Care Act. TRICARE Prime is available to active members of the military forces and members of their family, retired members of the military and members of their family, members of the National Guard and Reserve who have been activated plus their families, retired members of the National Guard and Reserve and their family members, recipients of the Medal of Honor and family members of recipients, and any survivors and ex-spouses (if they qualify for accessing these benefits). 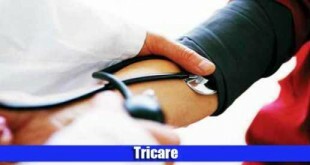 Under the TRICARE Prime health care plan, a primary care manager will be assigned to you as soon as you enroll for it. This will be either a network provider or a military provider. The primary care manager will be responsible for providing you with all your basic, primary care. In case you need to see a specialist, the primary care manager will be the one responsible for referring you to a specialist and providing you with the referral that you need (together with each individual’s regional contractor). In addition to this, the primary care manager will manage most of the basic health care; the primary care manager is responsible for making appointments with the doctor on your behalf and will also maintain a health record for each individual. Furthermore, the primary care manager will also accept any co-payments for you. In addition to this, under the TRICARE Primary health care plan, you do not need to worry about filing and making claims for reimbursement, because this will also be managed by the primary care manager. 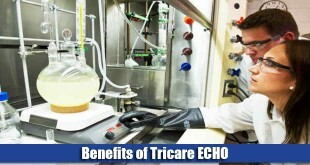 The TRICARE Primary health care plan is one of the most cost effective and affordable health care plans. This is because if you are currently an actively serving member of the military forces, you do not need to pay anything out of your own pocket. If you have also enrolled any of your family members for the same health care plan, then they do not need to pay anything either unless they make use of a point-of-service option. Any other beneficiaries who are considered eligible for the TRICARE Prime health care option are required to pay a fee for enrollment, and may also need to pay network co-payments. 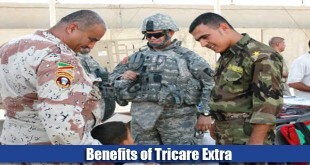 All actively serving members of the military forces are automatically enrolled in the TRICARE Prime health care plan. Other individuals can choose to register for this health care option, or avail the TRICARE Standard or TRICARE Extra options. Although TRICARE Prime is cheaper, it also provides less choice as far as service providers are concerned. If I am injured in an automobile accident by an uninsured motorist and do NOT carry Bodily Injury Uninsured Motorist Insurance, will TRICARE cover my medical expenses? How can I make an online appointment with my family practice provider? Im an active duty marine with 3rd Bn, 2nd Mar. My wife is enrolled into deers, im just trying to figure out how to access Tricare to see if she is covered. Thank you. Looking for something to cover the 20 percent my husband’s medicare does not cover. He is also a VA patient. What a terrible website! I have been searching relentlessly for the phone number for my regional provider and the links seem to navigate to the same few pages, over and over again! Please simplify this, because any changes that were done to this website were poorly done. I am currently enrolled in TRICARE Prime and would like to ensure my mailing address is current. Please advise and thanks in advance. I’m about to retire on September 30, 2015 and tried to call someone on what needs to completed for me to continue into Tricare Prime afterwards. Contact has been made once and was directed to look for forms but, having difficulty finding them on the site. I could not make contact for assistance in finding the form(s). What determines the reason for Tricare Prime only being in certain areas? We have a 6-year-old little girl with Aspergers (Autism spectrum) who needs ABA Therapy. 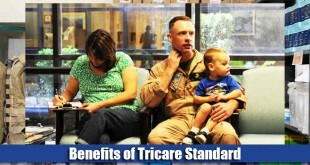 Unfortunately, Tricare Standard is the only coverage we can get in the area where we live. Now we need to forfeit her services since we cannot afford to pay the difference. How often do the coverage areas change? I’d really hate to have to move somewhere because we can’t get our daughter’s services she so desperately needs. I am a spouse of an active duty member who is currently enrolled in TRICARE prime. My child and I are also enrolled. Do I (as a spouse) need to re enroll every year? So someone at Tricare did not send me my bill again. So I got removed from prime. I don’t want to go into the issues that I had with this company. My husband died active duty and I should be able to get prime!!!!! So I called yesterday and the customer service person told me to come to this website and I can print out a enrollment form. So can you please send that to me at my email address. I am from Gravity Physical Therapy. I need a fax number for claims and/or benefits. I am trying to enroll in the Prime Tricare Plan. I am a retired Navy Veteran, can you please provide me with the information on how to enroll. You need to clear your website on the many unnecessary information on it and provide the correct information under Plan your Tricare mode for us to make enrollment easy. 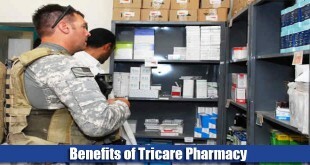 What is Tricare for life and Tricare plus. The Ansbach health clinic will not support me (medically) because I am not registered as Tricare plus. However, when I talked to the Tricare representive I am not eligible for Tricare Plus as a retired service member. I have received excellent service from all military facilities in Germany except the Ansbach health clinic which refuses to provide medical care because I am not a Tricare plus member. do we have coverage in dermatology?, I’m in a tricare prime plan. Topical treatment for hypertropic scarring and keloids resulting from burns, surgical procedures or traumatic events may be covered only if there is evidence of impaired function. I am a prime member with spouse, witch will be turning 65 . Will she be able to stay with prime instead of using Medicare. I am a spouse of a retiree. I am employed full time. 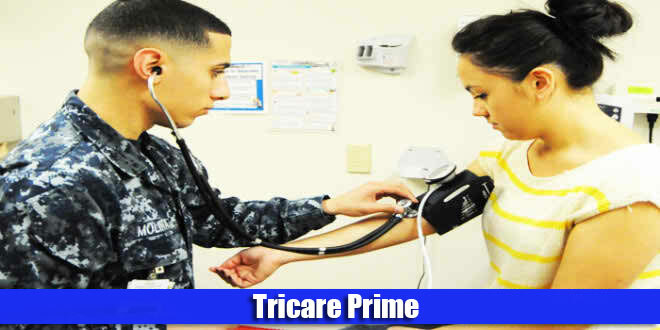 I would like to have Tricare Prime as my primary insurance. How do I go about that? How much does Tricare Prime pay for out of network dental and vision visits? I am new to Tricare (marriage to a retiree) and want to keep the same dentist and eye doctor that I had under the Federal Employee Health Benefits (FEHB) Program. I served during the Vietnam War (13 years). When I separated from active duty I was given a disability of zero per cent. I have never tried to apply for any medical assistance from the VA. As a vet with a disability do I qualify for any aspect of Tricare? If so, what is my next step? Unless you retired, you can’t get Tricare of any sort (especially if you are only disabled at a zero rate). I’m 90% VA and I only qualified for Tricare when I married a retiree. I know there are certain services available to 100% disabled vets (like commissary and exchange shopping privileges), but I’m pretty sure Tricare isn’t one of them. Sorry 🙁 The VA takes a LONG time to get registered for (depending on your location), so you should start that as soon as you can. You can apply to have your disability re-looked at because a zero percent rating will put you at the bottom of the priority list and you’ll have to pay co-pays for VA medical services. If you need more help, I’d recommend speaking to a Veteran’s Service Organization, they’re free and really knowledgeable about all VA services. Good luck! I’m trying to register for Tricare Care Prime…Please respond for information on how. My email is oelat@hotmail.com (Lise A. Tauiliili). I am 21 years old and just recently graduated college. My dad has Tricare Prime, which I’ve been on since forever, and told me that soon I will no longer be eligible to be on his insurance. Is there any way ( by extra fees/ etc.) where I can stay on his insurance? Thanks! My spouse and I use Froedtert Hospital (in Wisconsin), including their emergency (off-site) services; however in my wife’s visit to the emergency site, they seemed to not understand how to bill for her services, leaving us with a $600+ bill to pay. I have requested documents that lays out how they went about billing us; although we have Fed BCBS and Tricare Prime. I need to fax these documents to you, in order for them to be reviewed and to help resolve the matter. I cannot find a fax number to send the documents to you; please help. Thank you. Since I retired in 2004 and started to work as Contractor and now as Civil Service (GS), I always used a civilian Medical Insurance (Blue Cross and Blue Shield) and use TRICARE PRIME as my Secondary insurance. On this system, I never had to pay any co-pay on my medical appointments and medical care. Now, I’m getting bills from from my medical providers since Jan 2018. What’s going on? Are there any changes on TRICARE that reduced the payments as secondary insurance? I just got off the phone with Express Scripts regarding a prescription and was told that TRICARE wont cover prescriptions because I also have a private insurance. That is total BS, why do I pay for TRICARE Prime, I would expect it to at least pick up the co-pay, as they did in Germany at the Landstuhl Hospital.